HAP (CBF/NF-Y) transcription factors have important functions in regulating plant growth, development, and stress responses. In this study, we examined whether the endogenous gene OsHAP2E and the GUS transgene driven by the promoter of OsHAP2E respond to virus infection. 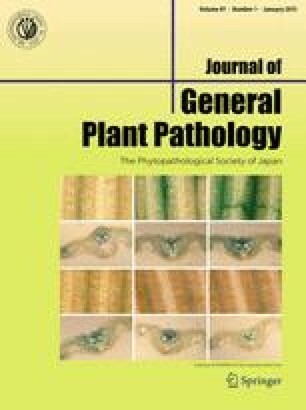 RT-PCR analyses showed OsHAP2E expression was induced after inoculation with Cucumber mosaic virus (CMV) or Rice necrosis mosaic virus (RNMV). After inoculating OsHAP2E::GUS-transgenic plants with either virus, the levels of GUS expression increased significantly. The expression levels of GUS or OsHAP2E reached a plateau 5 days after inoculation of rice with CMV, which paralleled the accumulation of CMV RNA level. Furthermore, transgenically over-expressed lines of OsHAP2E (OsHAP2E-OX) had lower levels of CMV and RNMV RNAs than in in nontransgenic control plants. The OsHAP2E-OX lines developed no significant symptoms from RNMV while control plants had yellowing and stunting. These results suggested that OsHAP2E is induced by virus infection and contributes to resistance against viral pathogens. We thank Drs. C. Masuta and T. Tachibana for the infested soil with P. graminis-carrying RNMV and the use of Retoratome, respectively. We are also grateful to D. Murphy for English editing of the manuscript. This work was supported by the Program for Promotion of Basic and Applied Researches in Bio-oriented Industry, and the Ministry of Education, Culture, Sports, Science and Technology of Japan [Grant-in-Aid for Scientific Research for Scientific Research (C) and (B), No. 24580065 to MN and No. 26292026 to KK] and by grants from the Ministry of Agriculture, Forestry and Fisheries of Japan (Rice Genome Project RMP-2113 to MN; Green Technology Project EF-1001 and EF-1004 to HI).